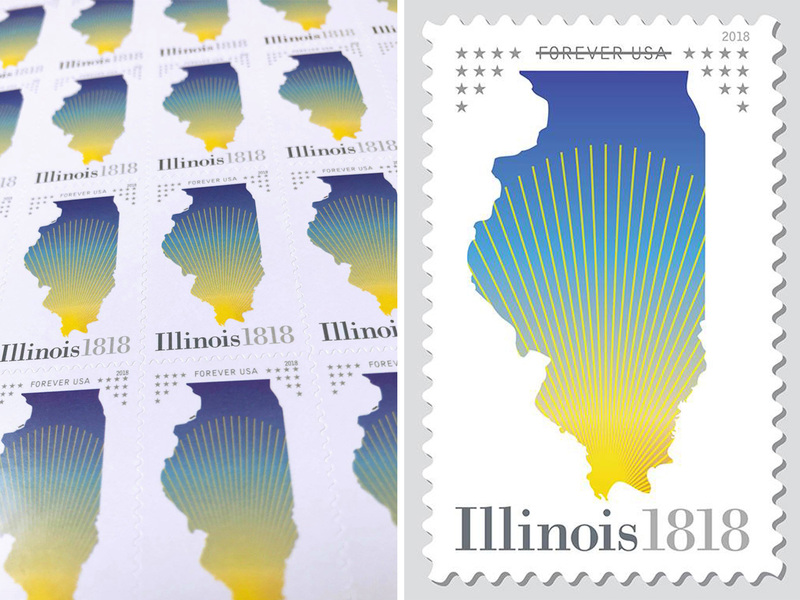 Early last week, the new Illinois Statehood stamp was issued. It was a pleasure working with talented Chicago designer Mike Konetzka on the design. It’s a radical departure from recent statehood stamps, relying more on metaphoric and symbolic imagery than on straight representation. We love it and hope all our friends (especially in Illinois) buy a sheet!